Ranajn and Priya moved to Cochin and Priya bought an antique Jewish box. When she opens the box the spirit in the box came out and possess her. 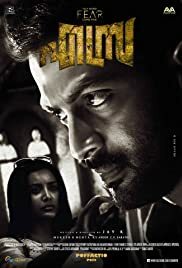 Then later Ranjan knowing that the box is not an ordinary box it is a Dybbuk box which contains a malicious spirit of a dead person.The film depicts how he is going to save his wife from this malicious spirit. The film takes a deeper look at the social status of people who are forcefully converted to a different religious belief, and how they are looked down upon.